The goal of Community Education and Outreach is to raise awareness about substances such as alcohol, prescription and illegal drugs, heroin and other opiates, and inhalants, including their effects, and what local resources and treatment options are available to prevent and treat their use and abuse. Through informational presentations and participation in community groups and forums, CoveCare Center keeps residents up-to-date on drug and alcohol news, alerts, and resources. Joining in movements and events such as the Communities that Care Coalition, local health fairs, drug treatment court, school-related events such as pre-prom education, and summer camps, we aim to share our expertise and support in order to keep our communities as educated and healthy as they can be. Addiction and overdose are tragic--and preventable. There are measures that can be taken: being involved with young people, friends, and family, and talking to them about substance use; ensuring that prescription medications are stored or disposed of in a safe manner; promoting education about opioid overdose prevention. 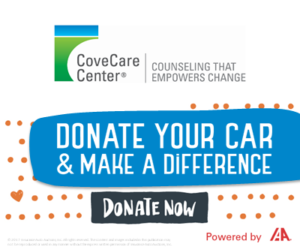 CoveCare Center is here to help. It is well publicized that the nation, and particularly New York State, is in the midst of a “heroin epidemic.” For combating overdoses, Narcan, an antidote to heroin and prescription pain pills like morphine, codeine, oxycodone, methadone and Vicodin, is one of the key tools. Narcan overdose prevention training is available at many locations in the mid-Hudson area. Please see the Office of Alcoholism and Substance Abuse Services for a current listing of training dates and locations. CoveCare Center supports local Medication Take Back events and facilities to help get prescription drugs out of medicine cabinets and off the streets. In the Putnam area, medication drop-off boxes are located at the Carmel and Kent Police Departments as well as the Putnam County Sheriff’s office. For more information or to inquire about having someone from CoveCare Center speak to your group or organization, please call Arlene Seymour at 845.225.2700 x105.